CubeBackup - How to backup G Suite data to a NAS (Network Attached Storage) or SAN (Storage Area Networks)? 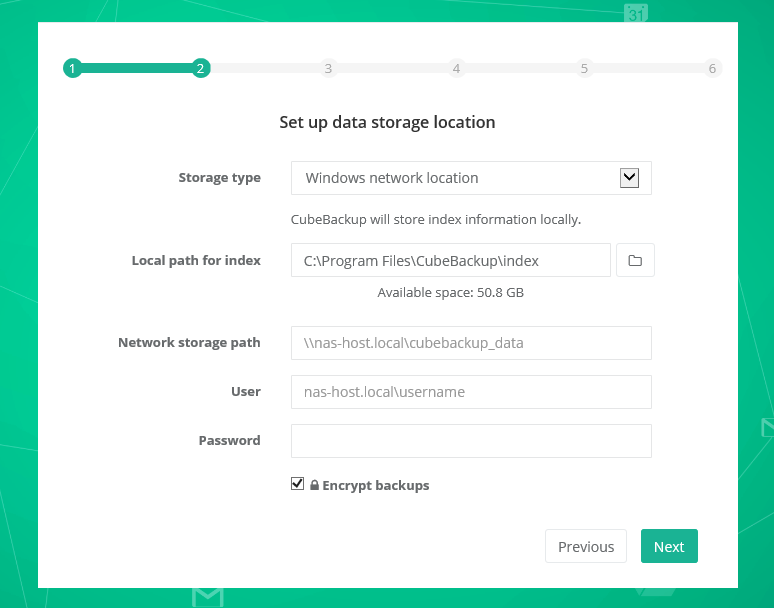 CubeBackup is designed to be a self-hosted G Suite backup solution, which can backup Google Cloud data to networked storage, such as a NAS or SAN inside of your company. Many mid-sized businesses use a NAS for large amounts of on-premises storage shared over a local network. Even for companies who work extensively with G Suite, employing a NAS as a file server inside the company can be very helpful. A SAN is a network of data storage devices commonly used in larger organizations. CubeBackup is ideal for organizations who already have a networked storage solution, such as a NAS or SAN. For performance reasons, CubeBackup needs to keep some metadata on a local disk when using network storage. For more detailed information, see What is the local data index? CubeBackup will recommend a default local path for the data index. In most cases, there is no need to modify the default value. Backup storage configuration is assigned during the initial configuration of CubeBackup, after installation. Select Mounted network storage from the Storage Type dropdown list. CubeBackup will recommend a default local path for the data index. In most cases, there is no need to modify the default value. However, if you do choose to change the location of the data index, the new path MUST be located on a local hard disk. CubeBackup employs SQLite database files to track backups as well as file and folder history, which requires a local drive for performance reasons. SSDs are preferred over HDDs because of their fast access capabilities. Ensure there is enough storage space at the new location. It is recommended to reserve no less than 10MB/user for index metadata (therefore, if there are 200 accounts in your G Suite domain, you should reserve no less than 2GB for the data index). Click the folder icon for the Network storage path and choose a directory on the mounted NAS/SAN. The destination Network storage path must be mounted and accessible on this machine. Since CubeBackup stores a complete version history of all files and folders, and in order to leave sufficient room for future data, it is recommended that the backup storage space be at least double the size of your current G Suite data (therefore, if there are 200 accounts in your G Suite domain, and on average each user has 10GB of data to backup, the recommended size for the NAS/SAN should be no less than 200 * 10GB * 2 = 4TB). Select Windows network location from the Storage Type dropdown list. CubeBackup will recommend a default local path for the data index. In most cases, there is no need to modify the default value. However, if you do choose to change the location of the data index, the new path MUST be located on a local hard disk. CubeBackup employs SQLite database file to track backups as well as file and folder history, which requires a local drive for performance reasons. Manually enter the UNC path for the network storage path, e.g., \\NAS-HOSTNAME\gsuite_backup, or \\192.168.1.123\gsuite_backup. Generally, the hostname is preferred over IP addresses, especially in an Active Directory domain environment. Please make sure that the address can be accessed through Windows Explorer. For Windows networks using Active Directory, the preferred user name format is DomainName\UserName. For example: cubebackup\smith (smith@cubebackup.com is not supported). For Windows networks organized by workgroup, or if the network storage is located outside of your active directory, the format should be NASHostName\UserName. For example: backup_nas\smith. Why is a username and password required? After all information has been entered, click the Next button. In the next step, input the G Suite domain, G Suite administrator account, and the service token file generated. Detailed information can be found at Create Google Service account and Generate Service account key file. After you have authorized domain-wide access to your domain, select user accounts to be backed up. 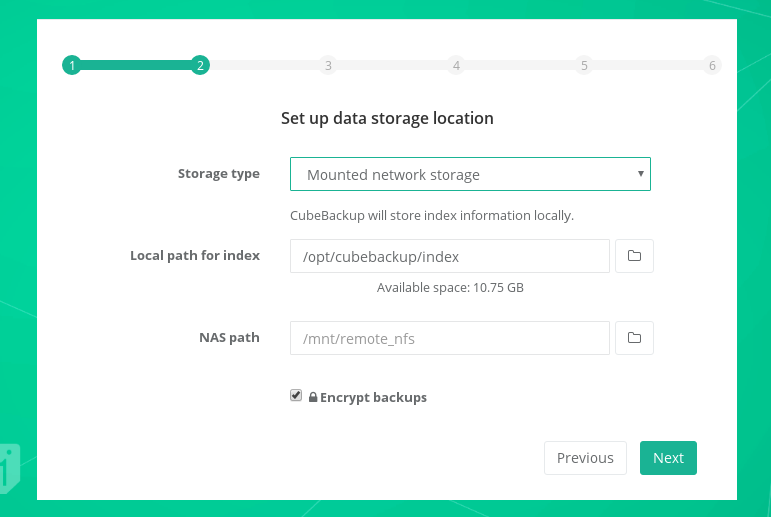 When all configuration steps are completed, the CubeBackup service will start the backup automatically in the background. Note: The initial backup may take hours, or even days, depending how much data you have in G Suite. Subsequent backups are incremental and are usually finished in a much shorter time.